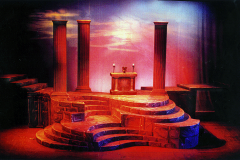 Medea Opera -Sets & Costumes | designscape, inc.
Sets & Costumes for “Medea,” opera staged at the Connecticut Grand Opera in Stamford. 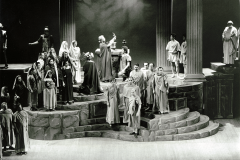 The lead soprano (Gilda Cruz-Romo) was on stage for over 90% of the opera, singing nonstop. 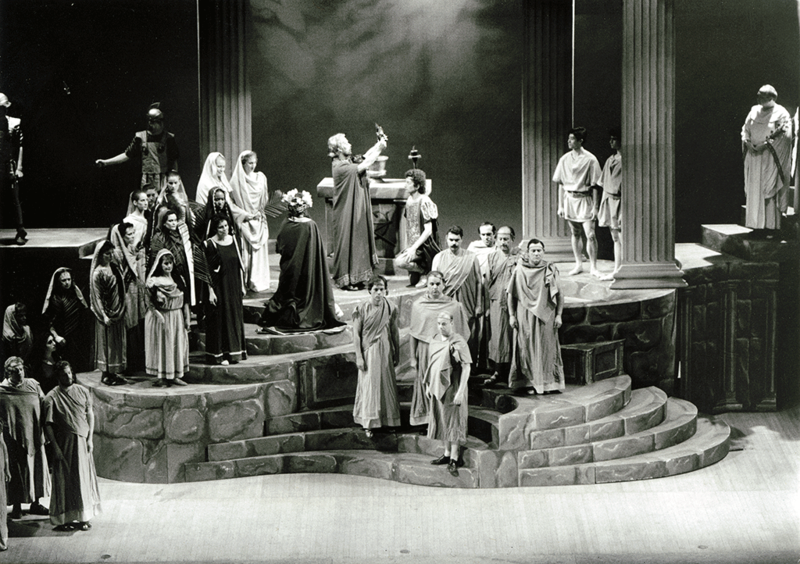 In addition, there were no real breaks for scenic changes, which had to be minor and fast. 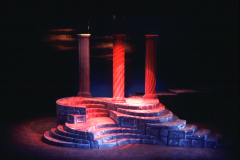 We designed the sets to be able to work with the theater’s limited wing space and flying capabilities. In designing this production we understood that the performance challenges for the lead soprano as well as the venue’s logistics. Don Warshaw designed a unit sculptural set of dramatic architectural elements that could provide a variety of heights and staging thrust areas to redefine itself. 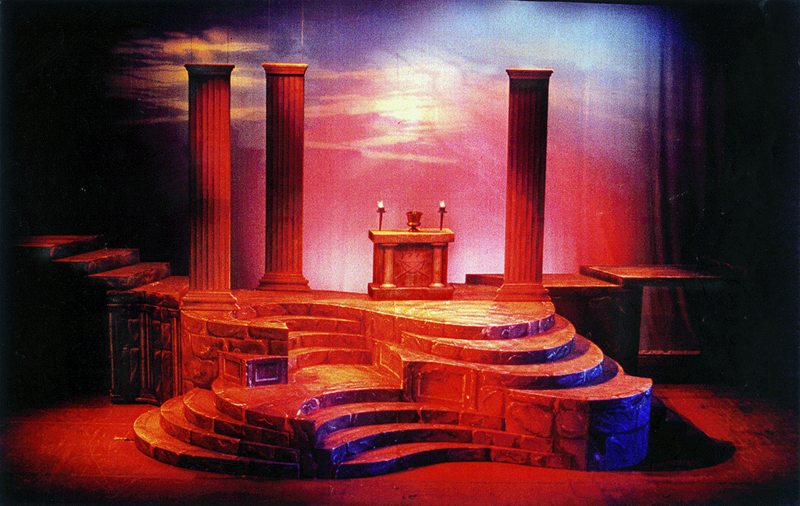 There were a series of stone bridges that could connect to the set to elevate chorus and entrances/exits for variety.